Grit reads submittal documents within Procore and attaches them to the activities that they reference. 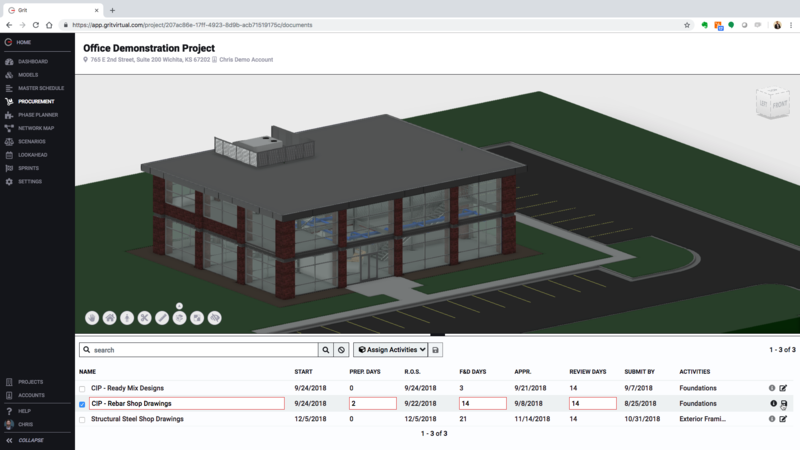 As Grit provides the start date of the first activity in a group, preparation, fabrication & deliver, design & review durations are back-calculated to determine Required on Site, Due Date, and Submit By dates to be written back to Procore. Each time the schedule is adjusted based on plan update or actuals being reported, the Grit admin can choose to write back the updates in dates. Grit allows for the creation or import of a Gantt-style Master Schedule. 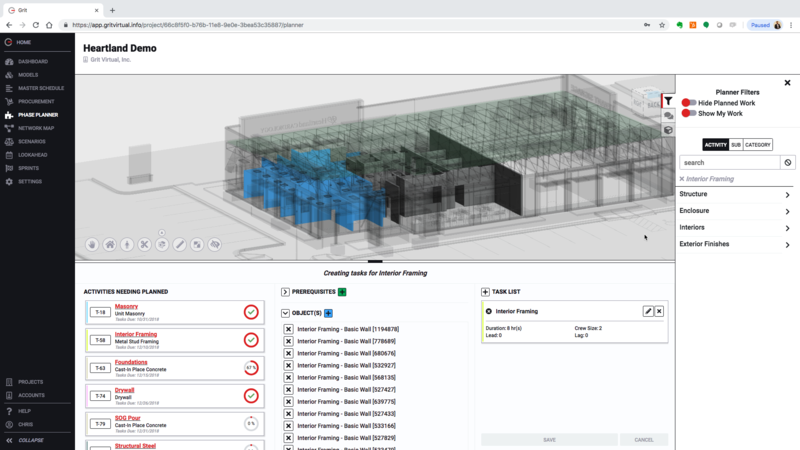 From this point, attachment to a Building Information Model allows for the visualization of the schedule. 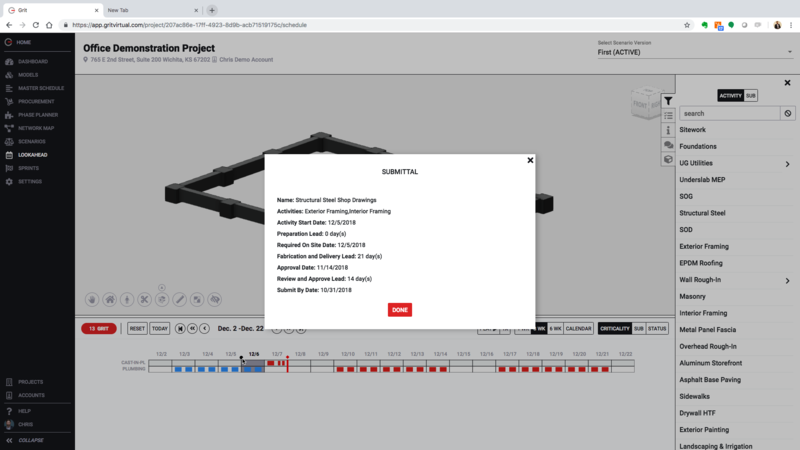 As the activity comes into the make-ready time frame, Master Schedule activities are broken down into crew sized tasks by the foremen responsible for the work similar to the Last Planner system. Tasks are committed to and tracked through completion allowing for real-time update of downstream sequences. 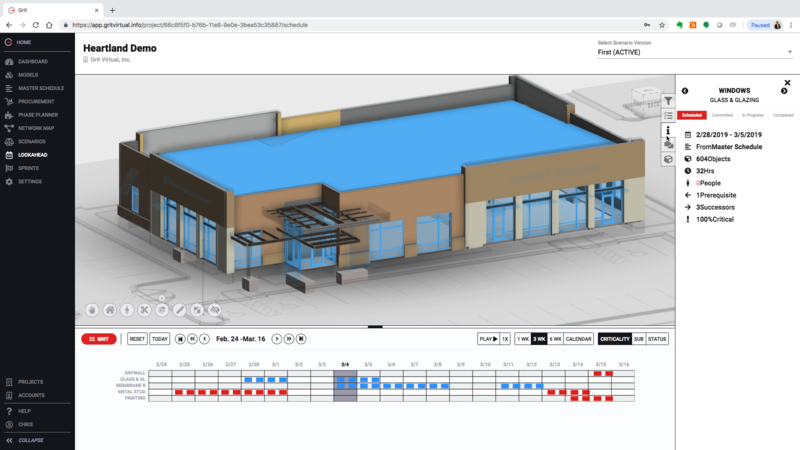 Grit Virtual, Inc. was spun out of Builders Plus Construction in 2017 as the need for an Agile scheduling software became apparent. 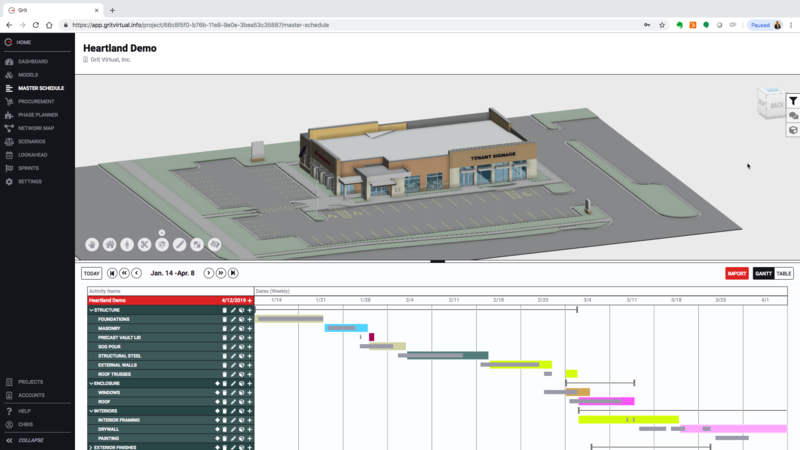 Headquartered in Wichita, KS, Grit connects the disparate scheduling/planning operations that make up the project management workflows on jobsites.